Rare 3 bedroom great room home with 3 car garage in prestigious Westbrook Village. This home has been completely updated in the last 2 months. New roof under-layment with transferable warranty. Painted inside and outside, white cabinets, stunning granite, gas fireplace, remodeled master bath with walk-in shower, granite tops and no brass! Second bath also remodeled with tile shower and granite tops. All new fans, faucets, sinks and fixtures. New irrigation system for landscaping too! Oversized yard with private location backing to wash. Spacious garage has tons of cabinets and side entry garage door. This is truly a move-in ready home. Westbrook Village features 2 18-hole championship golf courses, tennis, fitness, crafts, clubs and so much more! Approximate size: 8142.00 sq. ft. Please, send me more information on this property: MLS# 5900077 – $324,900 – 20011 N 86 Th Drive, Peoria, AZ 85382. 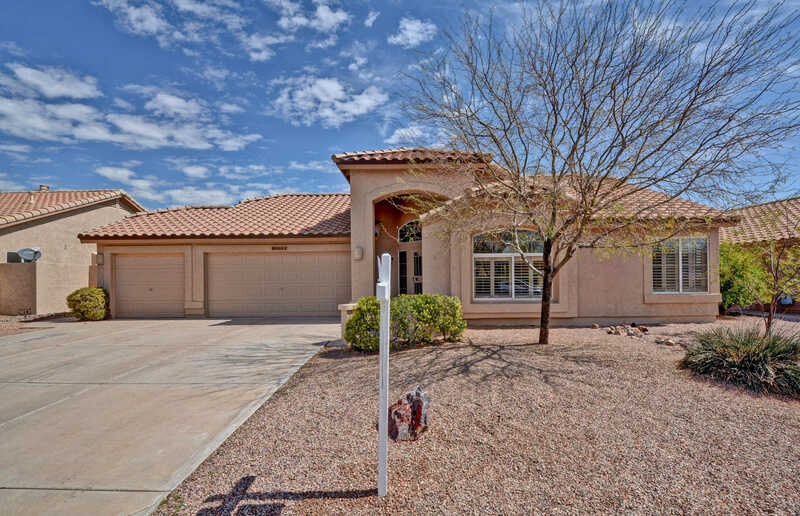 I would like to schedule a private showing for this property: MLS# 5900077 – $324,900 – 20011 N 86 Th Drive, Peoria, AZ 85382.